the season to be sneezin’. Or so we wish otherwise. After many places in the world have managed to dig themselves out from under piles of snow what do we discover is our reward…allergies. Spring is blooming. And so are our nostrils and eyes and sinuses. 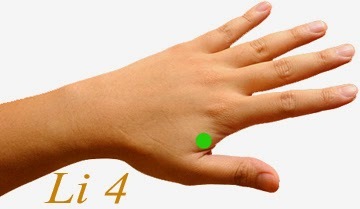 It’s time to turn our phoenix eye fists and one finger strikes to less lethal and more benign uses….acupressure point relief. 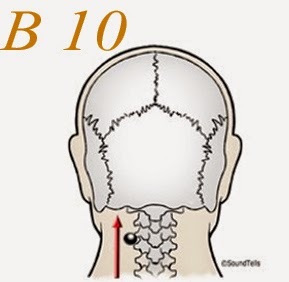 B 10 About ½ inch below the occipital bone and 1/2 inch to either side of the spine. 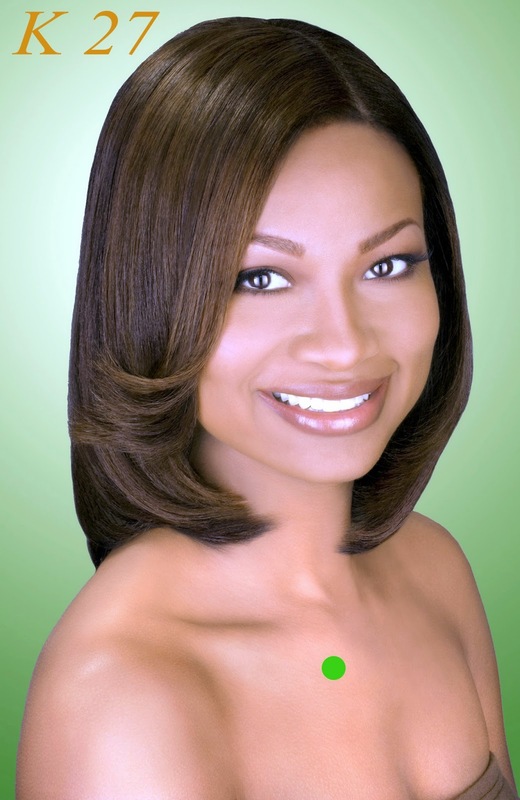 Relief of headaches, swollen eyes and general fatigue. Action you can press on both locations on either side of the spine. Relief of many chest related symptoms like coughing, etc. Also an excellent point for building up the immune system. 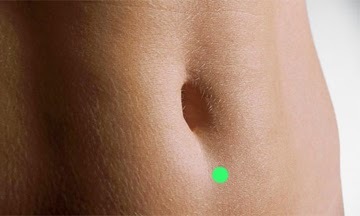 Relief of abdominal related symptoms from light bouts of indigestion to constipation. Also good for fatigue and insomnia. Action press, breathing slowly and deeply. Li 4 In the protrusion of the muscle in the middle of the second metacarpal bone. 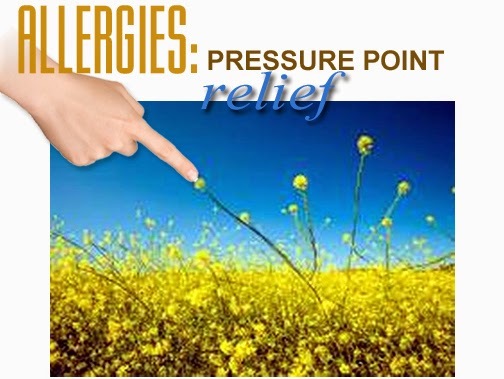 Relief of headaches, hay fever, itching, sneezing, etc. Action press gently on the left hand then switch over to the right hand. Tw 5 on the back of the arm 2 thumb widths above the crease of the wrist in between the ulna and radius bones. Action you’ll find the same point on either arm. Press the left arm then switch over to the point on the right arm. 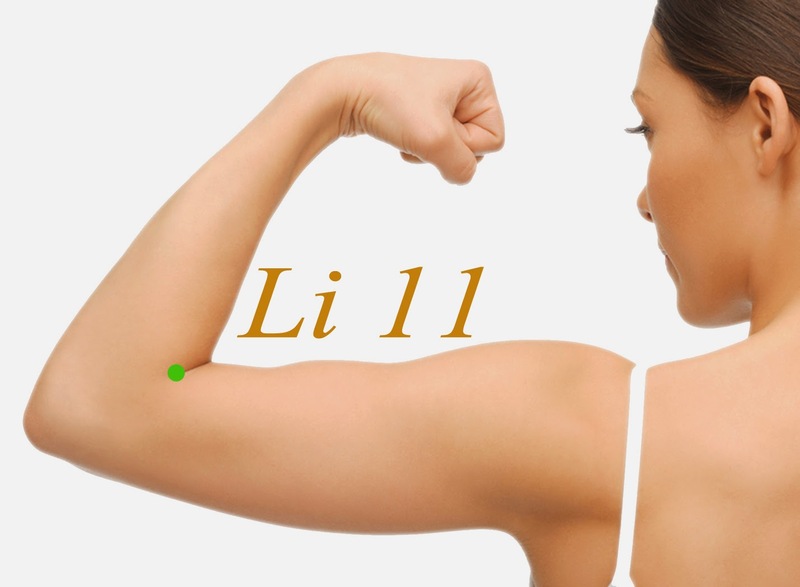 Li 11 at the lateral end of the elbow crease when the elbow is bent. Relief of skin problems such as hives and itching. Good also for a mild fever. Action press one arm with your thumb then go to the other arm. Switch back and forth between the two arms. 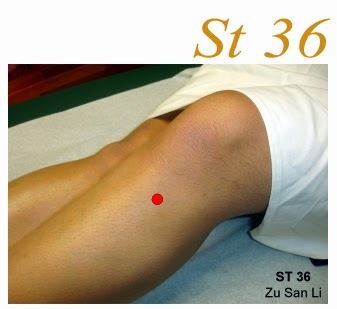 St 36 Four finger widths down from the lower border of the knee cap at the side of the tibialis anterior muscle. Relief of general relief of allergies. Also good for some headaches associated with allergies. Action rub or press for about a minute on each leg. Relief of symptoms of the eyes as well as headaches. Action rub or press on each leg. From feedback I’ve received in the past, each person eventually zeroes in on his or her favourite point(s), areas that they’ve personally found work for them. Never second guess. What may appear to be a simple allergic reaction may be the sign of something else. Always check with a medical professional.